How Do You Solve a Problem like West Cumbria? Tim Probert examines a dilemma for the Government: what to do with the plutonium stockpile at Sellafield, as well as the long-running saga of developing an underground depository for nuclear waste. This article first appeared in the October 2013 issue of Energy World. What was once thought to be a valuable asset is now a costly liability. Britain has accumulated the biggest pile of civil plutonium in the world and it is now struggling to decide what to with it. The plutonium stockpile at Sellafield is primarily an accumulation of Britain’s atomic weapons programme, the Magnox reactors, as well as the failed fast breeder reactor programme, which sought to use reprocessed spent fuel in anticipation of a global shortage of uranium, a shortage that never materialized. In total, the stockpile currently stands at approximately 120 tonnes and growing. The Nuclear Decommissioning Authority’s (NDA) Thermal Oxide Reprocessing Plant (THORP), which takes in spent fuel from both home and abroad, separating the uranium and plutonium for the former to be reused in reactors, generates an additional four to six tonnes per year. The plutonium is currently safely stored in concrete bunkers in around 14,000, 7kg, stainless steel containers approximately 12 inches long. However, the volume of plutonium at Sellafield is said to be enough to produce 10,000 nuclear weapons and the Government estimates the annual cost of at approximately £80 million for the next 100 years. Officially, the plutonium is not classified as a waste but as a zero-value asset. So the Government faces a dilemma; should it continue to treat the plutonium as a potential source of energy or simply write it off? Should it turn it into nuclear fuel for reactors, leave it in storage above ground at Sellafield or area deep underground in a geological formation in an as yet undesignated location? In 2008 the Government asked the NDA to identify solutions for the long-term management of the stockpile. In response, the NDA published a ‘Credible Options Paper’ in 2011. After consultation, DECC set out three options for long-term plutonium management. Firstly, re-use. The Government’s preferred option is to re-use the material, which it says contains enough energy to generate national electricity demand for 500 years, by using it in Mixed Oxide (MOX) Fuel. This would require the construction of a new MOX fuel fabrication plant. Secondly, immobilise plutonium and treat it as waste. The plutonium stockpile could be immobilised so as to be ‘proliferation-resistant’ in several ways: through vitrification or using ceramics or cement-based grouts. Thirdly, indefinite storage. This is the current default setting; plutonium will be stored at Sellafield until 2120 if no alternative is pursued. DECC’s preferred option of the MOX route is highly controversial. From start to finish, the original Sellafield MOX Plant (SMP) was a disaster. The business case for SMP was predicated on British Nuclear Fuels Limited (BNFL) acquiring Siemens, including its MOX expertise. When the Siemens acquisition was abandoned, BNFL nevertheless proceeded with SMP, relying on its limited in-house expertise. Scheduled to open in 1997 at a cost of £265 million, SMP finally opened in 2001 at a cost of £473 million. Yet it was not until 2005 that the first MOX fuel assembly was manufactured, forcing BNFL to subcontract their first orders to arch-rivals Areva in France. Remedial work was required, bringing the total cost to £490 million. Designed to produce 120 tonnes of MOX fuel a year over a ten-year period, the SMP could only churn out 13.8 tonnes over its entire lifetime. The accident at the Fukushima Daiichi nuclear plant in Japan was the final nail in the coffin as it was left with no new potential orders for the MOX fuel. Yet despite this dismal failure, the government’s current policy is to construct a second MOX facility, estimated to cost between £5-6 billion. This is a particularly baffling policy decision given the total lack of customers for such fuel at home or abroad; there is only one power plant capable of using MOX fuel, Sizewell B in Suffolk, but owner EDF has not sought the necessary license. EDF has also currently ruled out the use of MOX at Hinkley Point C in Somerset, should it be constructed. Horizon, the joint venture between E.ON and RWE subsequently acquired by Hitachi, which plans to construct new nuclear power stations at Wylfa in Anglesey and Oldbury in Gloucestershire has no plans to use MOX either. Furthermore, the clear front-runner to win a contract to build another SMP is Areva, which is currently experiencing costly over-runs with its US project at Savannah River, South Carolina. The US General Accountability Office says the plant is more than three years behind its 2016 completion deadline and is now expected to cost $3 billion more than planned, ballooning to $7.7 billion in total. The Obama administration says the high costs “may make the project unaffordable” and is looking for different ways to dispose of plutonium, such as immobilisation. MOX-2 is not the only technology option being reviewed for the Government’s preferred re-use route. Coming somewhat out of leftfield in 2011, the NDA announced it was exploring two other options: GE-Hitachi’s PRISM reactor and the Canadian Enhanced CANDU-6 reactors. The PRISM reactor is a Generation IV sodium-cooled fast breeder reactor, also known as an integral fast reactor. 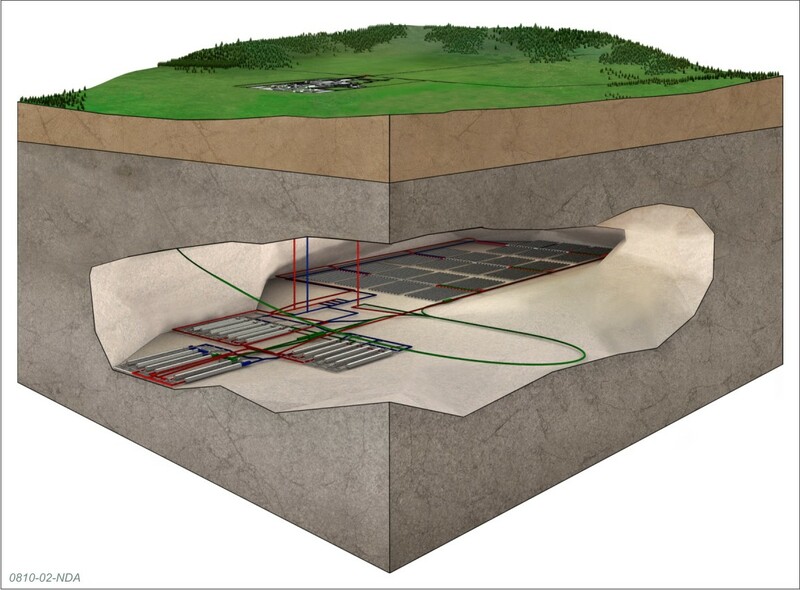 The proposed solution would comprise two modular reactors generating a combined 622 MW employing metallic fuel, a mixture of the plutonium and uranium oxide, which would be produced at an adjacent fuel-fabrication facility. Candu Energy proposes building four 700 MW Enhanced CANDU-6 heavy-water reactors to burn its own version of MOX fuel, which would require the construction of its own version of a MOX fuel-fabrication plant. Both options would be first-of-a-kind projects and this is inevitably likely to make the Government apprehensive. In August the NDA sent its appraisal of the three technology options to DECC. The Government is not expected to make an announcement until after the political conference season has ended, but sources familiar with the consultation process suggest it is highly unlikely that DECC will give the go-ahead to ‘MOX-2’ of any variety for the foreseeable future. That another MOX fuel-fabrication plant is even on the table is a triumph of public relations, according to Dr. David Lowry, an independent nuclear research consultant. “The nuclear industry is extremely successful in lobbying to convince the Government that it should build new projects,” he says. Another Cumbrian nuclear legacy policy option in danger of derailing is the long-running geological disposal facility (GDF) saga. The on-off affair has rumbled on since the 1976 Royal Commission on Environmental Pollution report, popularly known as the Flowers Report, which recommended the foundation of a ‘Nuclear Waste Disposal Corporation’ to store High Level Waste and Intermediate Level Waste. 37 years later, Britain is barely any closer to finding a long-term solution to its nuclear waste. In January, Cumbria County Council voted against Government plans to undertake preliminary work on an underground waste repository, despite district councils Allerdale and Copeland having previously voted in favour. Under current legislation, this would appear to rule Cumbria out of the equation: if a part of that community has said no then, strictly speaking, it should eliminate Cumbria from the process for good. However, DECC is consulting on the next steps. It is thought unlikely that the Government will walk away from its current approach of encouraging a community to host the GDF voluntarily, but it could explore a revised process which would enable Cumbria to go forward with a GDF based on a decision taken below the County Council level. Politicians have hinted that the veto of the GDF plans by Cumbria County Council could ultimately result in a merger of Copeland and Allerdale district councils to create a new unitary authority. Ultimately, however, Cumbria County Council is also the nuclear waste planning authority and would have to give permission to junior planning authorities for any exploratory drilling for a GDF. Again, says Dr. Lowry, expect the Government to boot it into the long grass. “It may be that the Government keeps asking questions until it receives the ‘correct’ answer,” he says, “But I don’t think this will wash politically. The Government has another painful headache with the on-going problem of storing Low Level Waste (LLW). 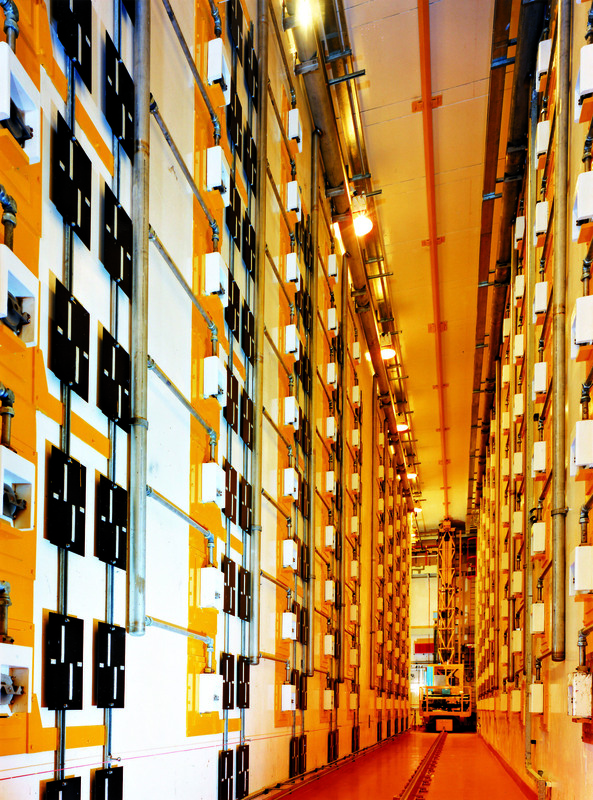 Past policy on the disposal of LLW and Very Low Level Waste (VLLW) has been for it to be stored in situ before being consigned to the UK’s only dedicated disposal facility: the LLW Repository (LLWR) at Drigg, in Cumbria. Here, waste is placed into metal containers which are then placed into engineered landfill cells and then covered with concrete for long-term storage. However, this facility is expected to run out of capacity in the next ten years, and alternative options are being sought. A number of conventional landfill sites – two in Cumbria, one in Lancashire and another in Peterborough – are seeking the necessary authorisations to receive LLW and for landfill disposal. However, problems with obtaining planning permission look likely to stall these developments, with only Waste Recycling Group (WRG) at Lillyhall in Workington and Sita in Preston being set to proceed because their sites have long had the necessary planning consents. In May 2012, Cumbria County Council refused planning permission to use the Keekle Head former open cast coal mine in West Cumbria as a site to store up to a 1 million cubic metres of LLW for the next 50 years. Endecom, which aims to operate the facility, is hopeful Westminster will overturn Cumbria County Council’s decision following a public inquiry in June 2013. Also in June, Sellafield Ltd was fined £700,000 and ordered to pay more than £72,000 costs for sending bags of LLW to a conventional landfill site. The five bags, which contained plastic, tissues and clothing, should have gone to Drigg, but were sent to the WRG Lillyhall site in Workington. Sellafield said a faulty scanner used to monitor radioactivity levels allegedly allowed the bags of waste from a restricted area of the site to be passed for conventional landfill disposal. The Environment Agency has managed to recover at least one bag of waste from Lillyhall, but the incident has cast doubt on the robustness of the controls needed to ensure that only VLLW and LLW are disposed of in conventional landfill. Yet the most serious problem remains what to do with the plutonium stockpile. There are growing calls from environmentalists for it to be simply written off as waste and immobilised so as to be ‘proliferation-resistant’. Using existing technologies, the only way to store the plutonium waste in the GDF would be to deposit small concentrations in cement. To deposit all the plutonium in this way would require around 200,000 tonnes of cemented waste at a cost of around £8 billion. 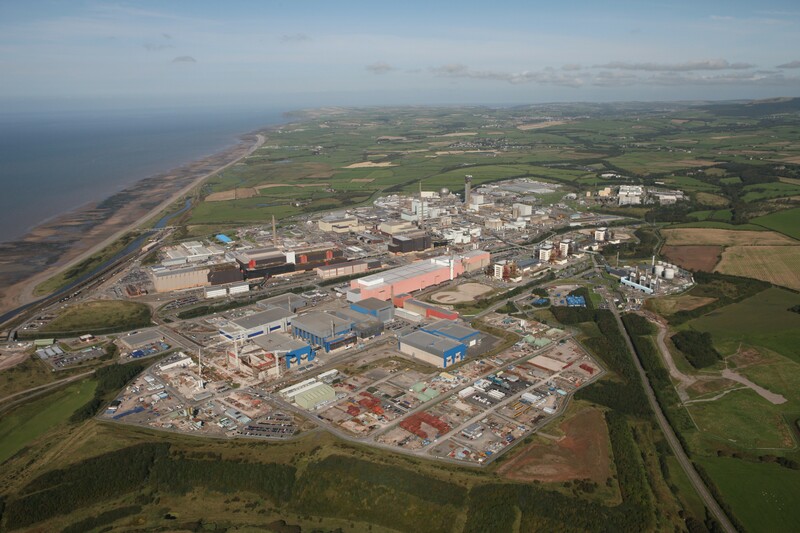 While vitrification has been successfully deployed for liquid HLW at Sellafield, the process of vitrifying plutonium is not yet technically proven and would still require long-term storage underground at an estimated cost of £5–7 billion. The NDA is assessing this option through studies at the National Nuclear Laboratory. Independent nuclear consultant Steve Kidd, who recently left his post as Deputy Director General of the World Nuclear Association, says the Government would be unwise to write off the plutonium stockpile as waste. “It is an economic asset rather than a liability,” he says, “It would better to keep it stored where it is for the next 30-40 years to be used by Generation IV reactors. Although it requires relatively expensive active management, the plutonium is safely stored at Sellafield and there is no reason it cannot be for the foreseeable future. Whether for plutonium, high, intermediate or low level waste, none of the proposed solutions need rushing. It is much more important to get it right than to get it quick because past attempts at a speedy solution have not been successful. Posted in NuclearBookmark the permalink.